An elegant and fulfilling stay for pocket-friendly travelers. Galaxy Manor offers a comfortable stay for pocket-friendly travelers. With simple and sleek interiors, the hotel is a delight to stay at. The rooms are simple with a vibrant touch of finishing through its upholstery. The minimalistic rooms have a window, which lets in sunlight making the space fresh and bright. 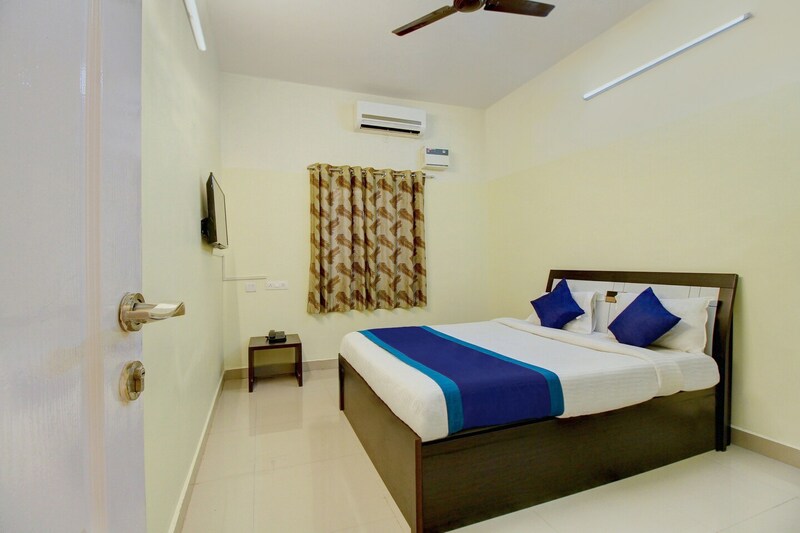 The hotel is accompanied with various facilities like Wi-Fi and parking facility is available for hassle-free stay. Galaxy Manor is in close premises of various restaurants serving sumptuous food items. The famous tourist spots such as Karaneeswarar Temple, Our Lady Of Health Church, Little Mount and Anna Centenary Library are close by. The property is situated near the Kalaignar Bus stand and Saidapet Metro station making it convenient for outstation travelers.